Forest Hill Society: Louise House – The Way Forward? Louise House was listed at Grade II by English Heritage in August 2008. The building consists of a structure like a house with three large rooms on the ground floor, an unusual central staircase and three large rooms on the first floor. There are a number of smaller rooms towards the rear on both floors. There is a front garden, currently used for parking, and a rear garden which has mainly been surfaced as a play area. The rear garden has a long, single storey building which once housed the Laundry facilities, which has south facing windows. Lewisham Council owns the building and has said that it may make it available either by transfer or on a long lease at a negligible rent to a community organisation which has a viable plan that benefits the local community. “Expressions of interest” where sought from the community between November 2009 and March 2010. The Council is currently working with the Crystal Palace Community Development Trust (CPCDT) on its proposal. The CPCDT was set up in 2004 to help with regeneration projects in the wards surrounding Crystal Palace Park. The Trust has submitted a proposal to Lewisham Council for a refurbished Louise House to provide workspace particularly for start-up businesses. The main “house” would thus become a serviced office development. 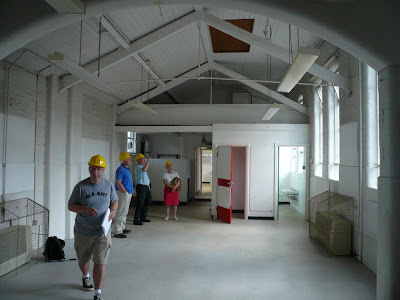 It is also interested in exploring ideas for refurbishing the Laundry as a community nursery with affordable places. 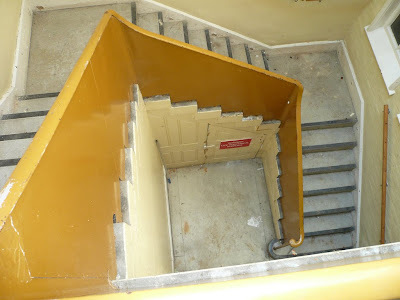 Since March 2010, Lewisham Council has funded a full condition survey of the buildings. Meanwhile, the Forest Hill Ward's Locality Fund has given CPCDT £4,000 which has been used to complete a Feasibility Study. This study indicated that the proposal for a serviced office and community nursery was viable both financially and in terms of the suitability of the building. This has been taking place against the backdrop of the Forest Hill Pools development next door, which recently gained planning permission. The architects of the pools, Roberts Limbrick, have visited Louise House. In their plans for the pools, they have made provision for a common treatment of the “front garden” areas of the pools, Louise House and the Library which would seek to unify the Victorian frontages behind a common green treatment with disabled access to all three buildings. This is in the future, but the plans for the pools do not create obstacles to the eventual realisation of this part of the scheme. In July 2010, Louise House, the old pools frontage and the Library all became part of the extended Forest Hill Conservation Area. CPCDT is working with Lewisham Council to seek funding which will enable the project to move forward. In the current economic climate and against a background of public sector cuts this will be challenging. But there are hopes that the Autumn round of Lottery funding will provide some support.